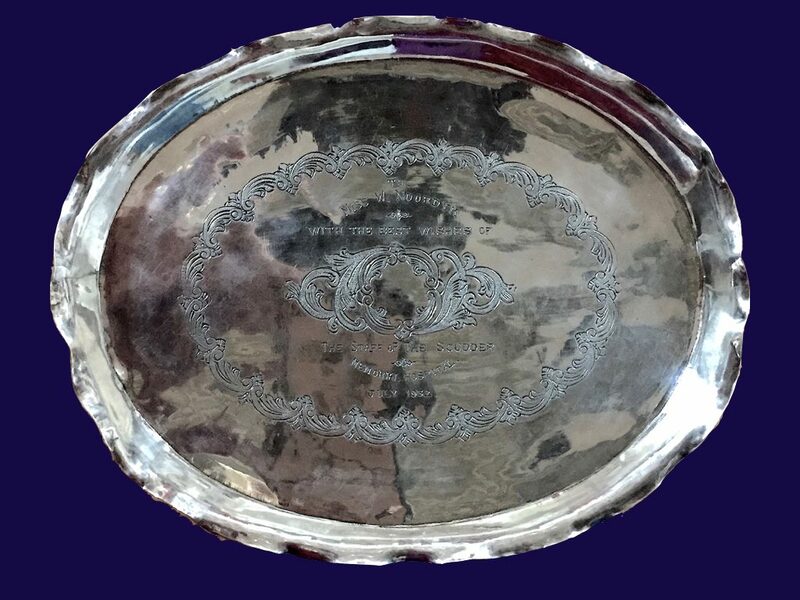 After a journey of 85 years and tens of thousands of miles, this historic commemorative silver tray has found its way back to its place of origin, Scudder Memorial Hospital. Discover the woman behind the tray and the grandniece who continues in her aunt’s tradition. Wilhelmina Noordyk, of Paterson, New Jersey had come to America, with her parents, from the Netherlands as a baby. 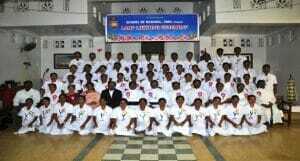 After becoming a registered nurse, she volunteered with the Dutch Reform Church to serve in a mission hospital. 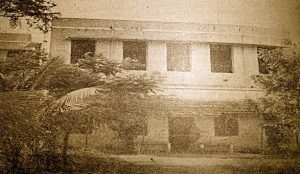 In the summer of 1920, a freshly minted registered nurse arrived on the shores of India. 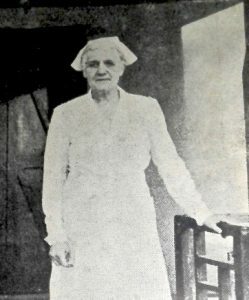 Wilhelmina Noordyk, or “Aunt Minnie” as she became affectionately known, would spend the next 35 years serving the afflicted of Ranipet, India. Thus beginning an adventure that would last a lifetime. 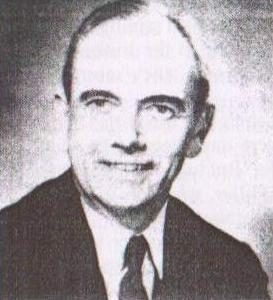 Dr. Galen Scudder – Medical Superintendent – SMH 1920 – 1954. A graduate of Princeton and Cornell Medical School, Galen was responsible for rebuilding the Ranipet hospital. 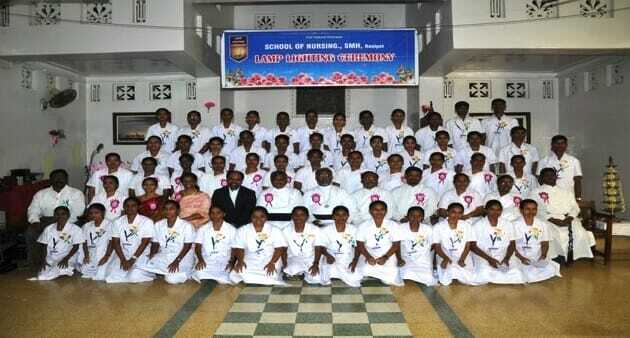 He was called for war service and after the fall of Rangoon, he was the District Medical Officer at Coimbatore. Galen returned after the war and resumed charge of the hospital. His Princeton classmates contributed generously to SMH, and he established a rewarding relationship with the Doris Duke Foundation. Galen retired and returned to America, on the 100th anniversary of the Scudders serving in Ranipet. Shortly after her arrival in India, she was appointed by the Arcot Mission, to become the first Nursing Superintendent of the Scudder Memorial Hospital, in Ranipet, India. While the title had an impressive ring to it, there were no nurses to supervise. Under the guidance of the SMH Superintendent, Dr. Galen Scudder, young Wilhelmina began training the hospital’s first two male nurses. 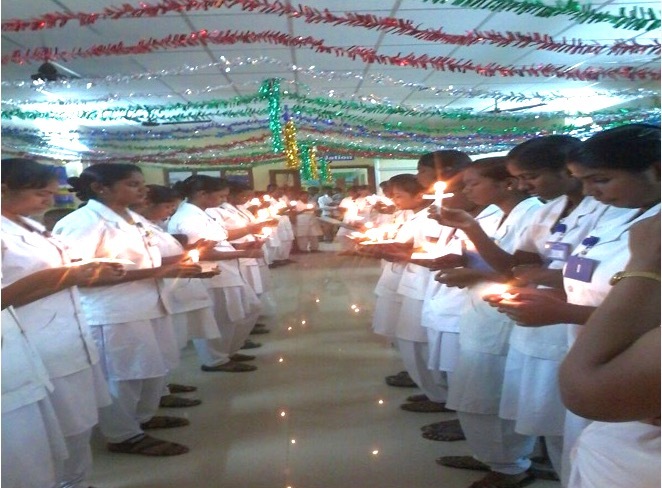 The following year the first two females were accepted into the nursing program. 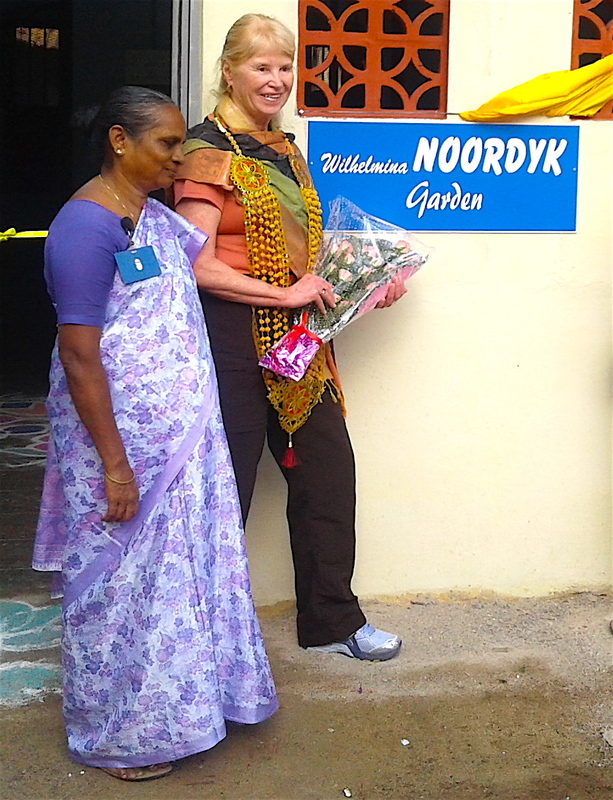 Unlike the men, the women knew no English and Wilhelmina needed to teach them in their native Tamil. In 1928, with the opening of the new SMH hospital facility, a formal nurse training area was established and the number of trained nurses increased. 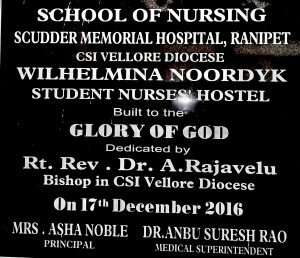 With the help of the hospital’s doctors, Wilhelmina wrote and published one of the first educational nursing books in India. 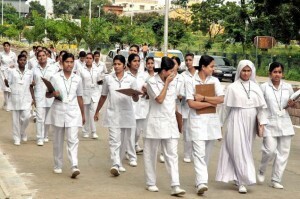 By 1936, the nursing curriculum had been expanded to meet and exceed the Indian Medical Examining Boards. In 1955, after 35 years and tens of thousands of patients and student nurses, Wilhelmina felt it was time to return to those she left behind in America. 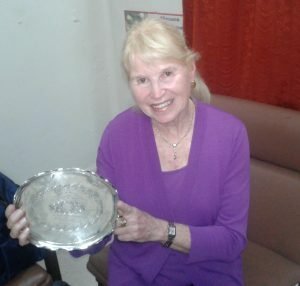 Upon her retirement, the hospital presented her with a beautiful silver tray, a small token of their appreciation for a lifetime of sacrifice and devotion.Wilhelmina returned home to Bergen, New Jersey at the age of 70. There are numerous newspaper accounts of her speaking at public gatherings of the importance and urgency for medical assistance in Southwest Asia. 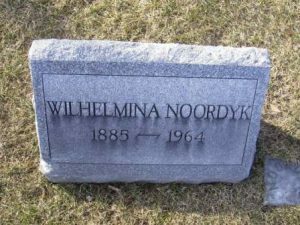 Wilhelmina Noordyk returned home to Bergen, New Jersey in 1955, after a lifetime of service. “Aunt Minnie”, as she was known to the thousands she tended to and trained, passed away quietly in 1964. That should be the end of this account, however the ceremonial tray that had been presented to Wilhelmina, was treasured by the relatives she left behind. The tray was handed down through the generations. Ironically, 96 years after Wilhelmina arrived in India, the silver tray was bequeathed to another nurse. After Aunt Minnie’s death, her commemorative silver tray begins a circuitous and eventual fortuitous journey. Leslie Cenci arrives at the new nursing facility at SMH. Ranipet, India, October, 2016. 85 years after her grand aunt. Leslie Cenci was born to nursing. Much as the Scudders have grown up hearing fantastic stories of distant cousins doing volunteer medical work in India, Leslie was raised in a family who spoke of a great aunt, both literally and figuratively, who had dedicated her life to assisting those in need in India. The story was made more vivid, years later, when Aunt Minnie’s silver tray, having been bequeathed through the family, found its way to Leslie’s mother, also a nurse. In keeping with family tradition, Leslie became a successful nurse practitioner and in time the silver tray was passed on to her. She admired the tray as an historical memento of a distant time and place, long gone by. Two nursing instructors greet Leslie Cenci outside SMH. Upon retirement last year ago, in perfect Aunt Minnie fashion, Leslie began volunteer work as a nurse practitioner. 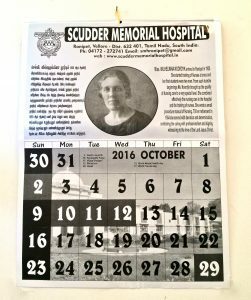 It was an upcoming trip to Asia that prompted Leslie to “Google”,Scudder Memorial Hospital, to learn more about where the tray came from. She was amazed to see that the hospital was still an active concern and a vital part of Ranipet, India. She contacted the hospital administration to see if she might stop by, on route to her next volunteer assignment in Asia and return Aunt Minnie’s silver tray. Dr. Abnu Rao, nursing students and faculty, welcome Leslie Cenci, “Aunt Minnie’s niece to SMH. Of course the faculty and administrators at SMH were elated to hear from Aunt Minnie’s grandniece. 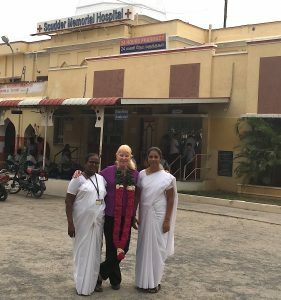 Dr. Anbu Rao, present SMH Medical Superintendent and the entire staff were eager to show Leslie how much her aunt was appreciated and revered. Aunt Minnie’s legacy lives on. Aunt Minnie was looking down off the wall when her grand niece arrived. Leslie’s arrival was as timely as it was propitious. 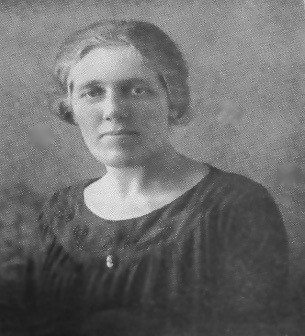 The SMH Nursing School was dedicating its new building named in honor of Wilhelmina Noordyk. As if the occasion needed any more fortuity, imagine Leslie’s surprise when she walked into the school to find Aunt Minnie featured on the hospital calendar, as the “celebrity of the month”, serendipity, indeed! Wilhelmina Noordyk’s tray – Home again! Thank you Leslie for sharing your love, dedication and Aunt Minnie’s story. Leslie was overwhelmed at the reception she received by the staff and students. It was difficult to comprehend how after so many years one woman’s spirit could be so present and venerated. Leslie began to understand how it is possible to leave behind far more than money and property after death. Wilhelmina had left behind a legacy of sacrifice, commitment and love. There was a certain karmic symmetry, as Leslie returned the commemorative tray to the SMH Nursing School, the silver embodiment of Aunt Minnie’s dedication. When Leslie returned home, she contacted the Scudder Association to see if she could donate funds for SMH through the Association. When she was informed of our upcoming SMH Nurse Scholarship campaign, she asked if she could assist us by bringing her aunt’s story to the attention of her alma mater, the University of Pennsylvania School of Nursing, so that it might inspire other nurses to follow her example. It is also Leslie’s hope that fellow Penn alumni may assist and continue to support the wonderful work begun by Wilhelmina Noordyk, 85 years ago. While the Scudder Association has traditionally raised money in the name of Scudders who have devoted their lives to assisting those in need. The Association can think of no better person than Wilhimena Noordyk, our “other” aunt, to be remembered and honored, when contributing to the SMH Nursing Scholarship program. 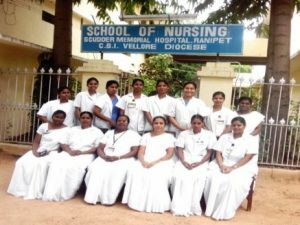 Please consider contributing to the SMH Nurses Scholarship. Just click on the Donate button and make your donation which can be monthly or single payments to match your needs. “We” the Association, have impacted the world in unknown ways and obscure places. Mother and Father (“Beth” scuudder Thoms) impacted Oman and their legacy lives on through the Wells and Beth Thoms Endowment Fund managed by the RCA. Naming the new nursing building in Aunt Minnie’s name is a wonderful way to honor her memory and contribution to the nursing program of SMH. As her grand-nephew I remember meeting her at a family gathering in Patterson, New Jersey when she first returned to America in the mid 1950’s. I have shared the articles of the Silver Tray that were forwarded from my cousin Leslie with my mother who just turned 98, was a LVN (Licensed Vocational Nurse) and has many fond memories of her Aunt Minnie. Both I and my mother Virginia L. Noordyk will look forward to making a generous donation so that deserving students can have the opportunity to learn and carry on the profession as a tribute to our Aunt Minnie.